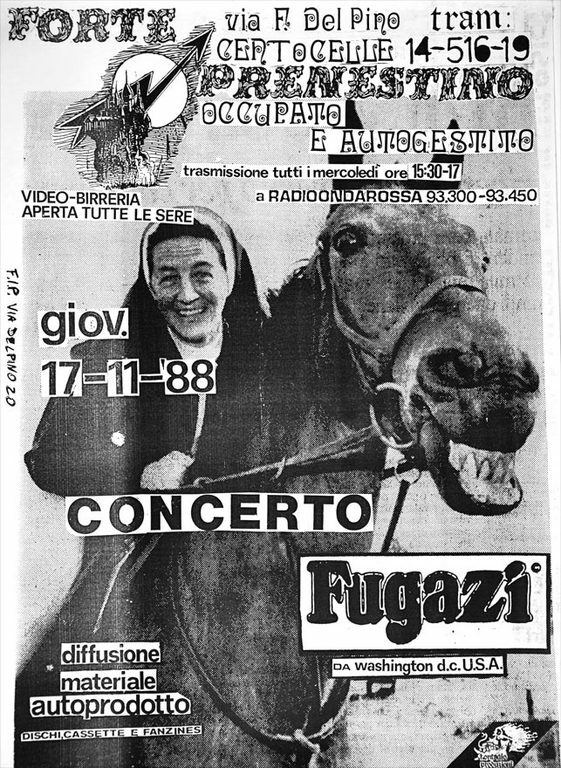 This recording presents the second Fugazi performance in Italy which has been made available, and is set in Rome. 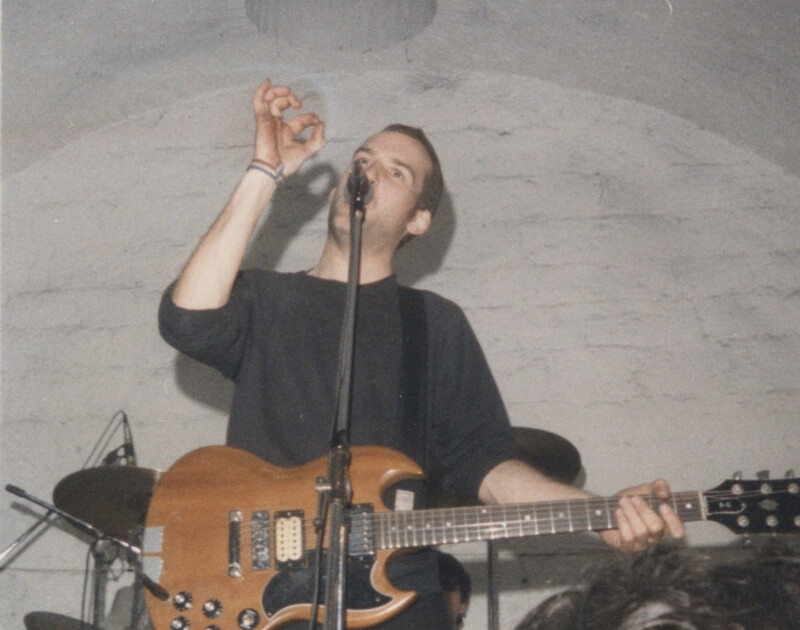 The band would hit this beautiful city 5 times in total (1988, 1990, 1992, 1995, 1999) and all of these gigs took place at the same location, namely Forte Prenestino. Interestingly, Forte Prenestino is a former military fortress in the district of Centocelle, east of the Rome city centre. Construction of the fort started in 1880 and was completed in 1884. 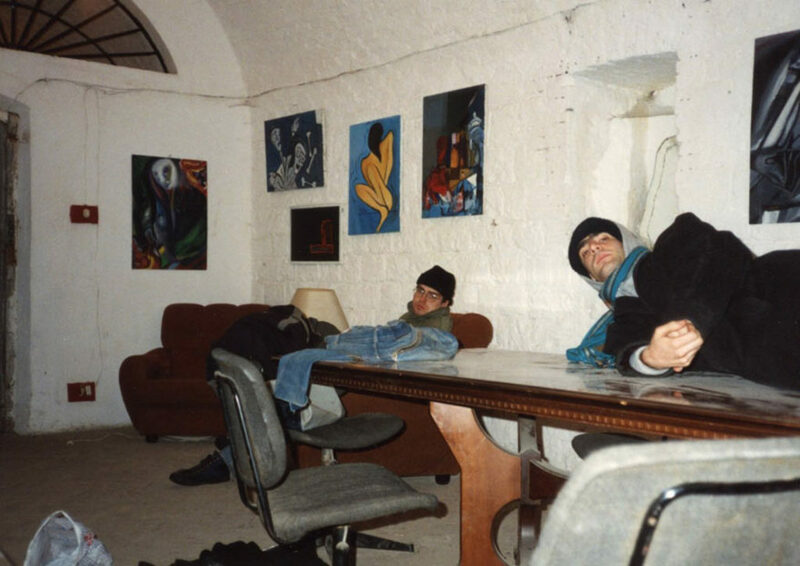 Since May 1, 1986, the former fortress houses one of the oldest self-sustaining social centers in the city of Rome. The entrance to the community center is via a drawbridge which remains fixed throughout the year, and the building itself holds numerous underground tunnels and rooms where exhibitions and activities are held. Between the two buildings that form the social center, there are two large squares where stages are erected and events take place during the summer. We find Ian back on form on this particular night, having overcome whatever ailed him a couple of days prior (see FLS #0075, Udine, Italy 11/14/88). The result is a high-energy and overall solid gig as one song bursts into the next and the downpour pretty much continues until a broken string forces the band to pause right after Break-In. Surprisingly, Brendan and Joe seize this opportunity to engage in a bit of an instrumental that would eventually make up the backbone of the song Turnover, the opening track of the 1990 full-length debut album Repeater. The Encore includes a little bit of dialogue as Guy inquires how the Pope is doing. Since it doesn't really lead anywhere, the band then goes into Link Track while Ian starts whistling and invites "the boys to dance to this". The band then builds up to deliver a highlight rendering of KYEO. Another hybrid version of Preprovisional ends the set (notice how Ian's guitar chords sound as if a locomotive is set in motion at the beginning of the song), and includes the Hello Morning/Provisional improv as well as part of the Promises instrumental. The quality of the recording is okay, although I think it is worth mentioning that it sounds notably cluttered during the up-tempo and breakdown parts. Also, it can be noted that both Waiting Room and In Defense of Humans suffer from some sonic anomalies, and that Glueman cuts off untimely. 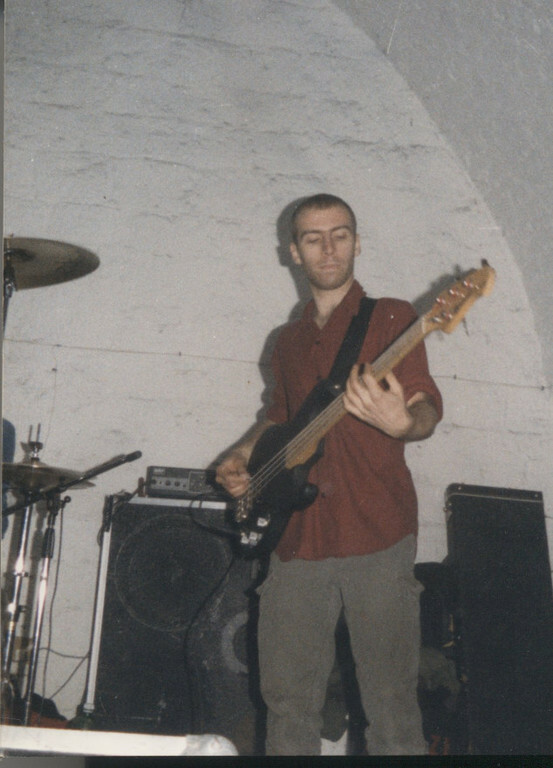 I was there too, first of three Fugazi live sets I saw along the years. It was incredible, pure energy. I also submitted a pair of good pics to put on here some months ago. I was there, wow! My memories are full of nostalgia. 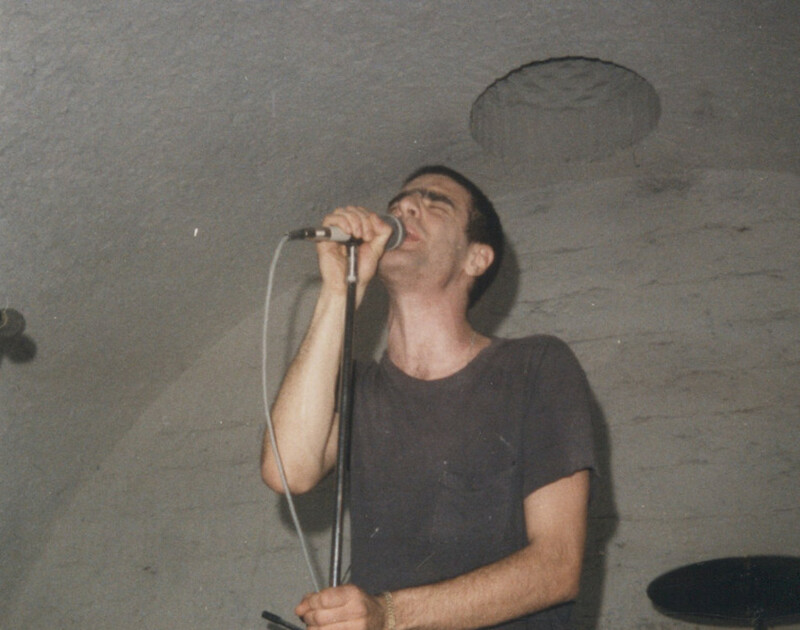 I remember there was an electric black-out but Fugazi continued to play, just vocals and drums, but so intensive, deep, sincere that my musical feelings changed forever ... thanks Fugazi!